Once upon a time there was an old manor house in Rögnitz. 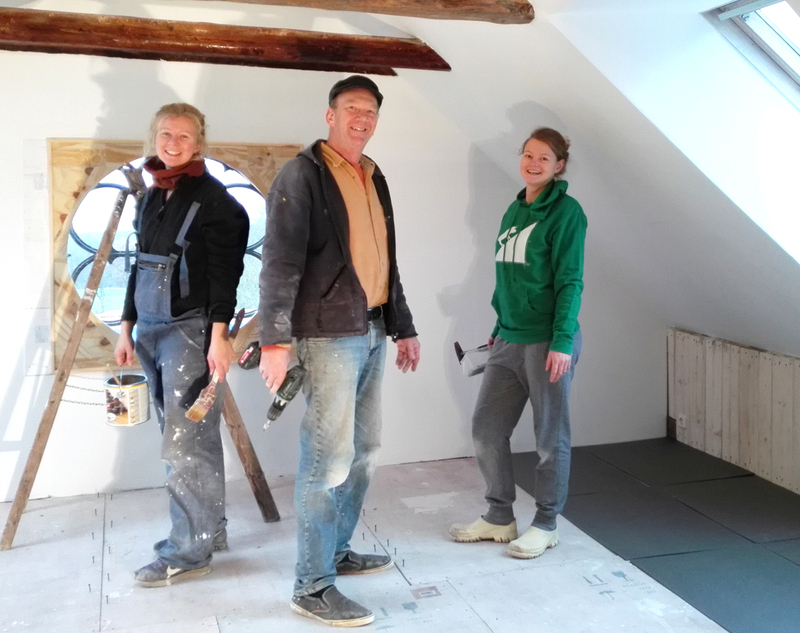 A couple from Hamburg - she, a theatre artist; he, a movie production manager - fell in love with the house and decided to live there with their small daughter Lale. 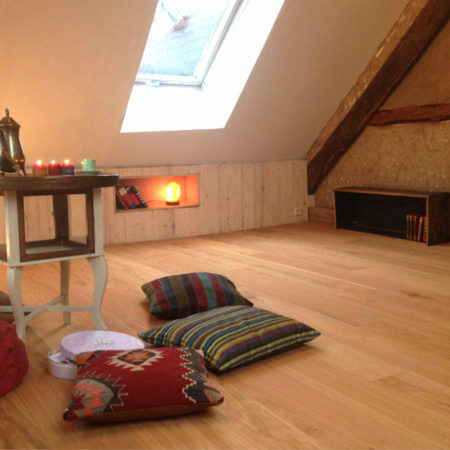 Bit by bit, the couple renovated everything with a lot of enthusiasm and imagination. At the same time, Lale's mum started a goat cheese dairy in town. 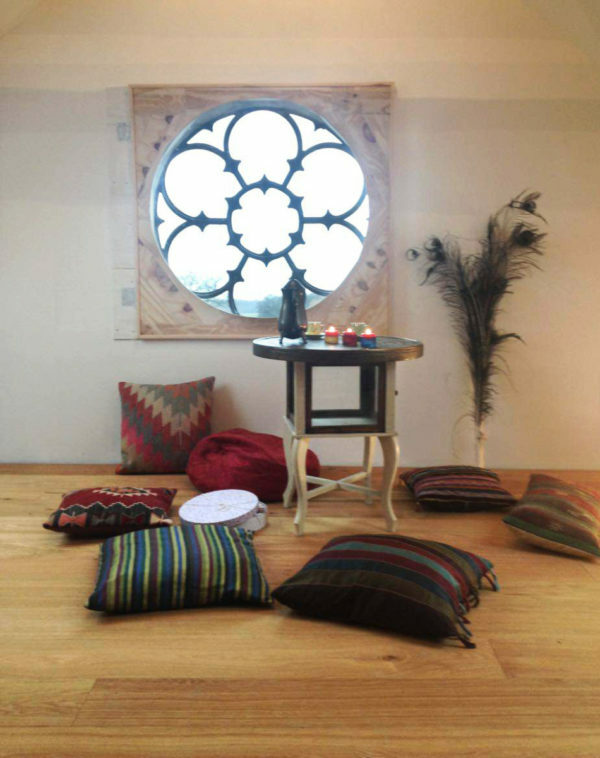 From the first moment, they wished to revive the town and promote a more lively town structure. Then, Lale and later also her younger brother went to study in Berlin, and the manor house became too big for the parents. The future of the manor house was uncertain. 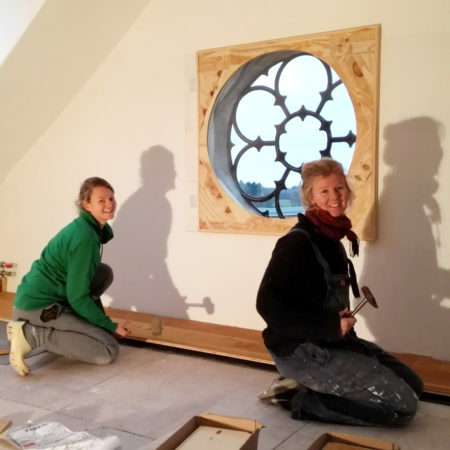 Lale moved back after completing her studies, but she found no career prospects in town. Then she discovered the initiative "We construct the future" in Nieklitz near Rögnitz. Lale R. is now on the executive board of the cooperative and is active in several working groups. 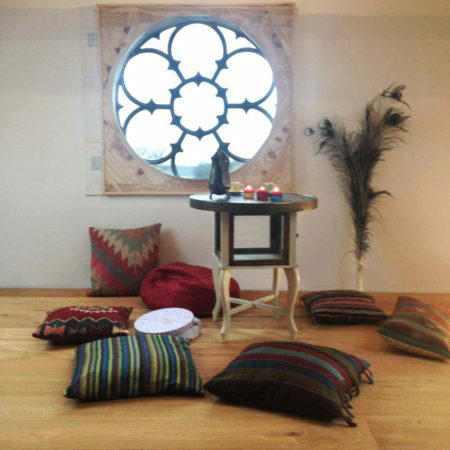 This gave rise to the idea of converting the manor house into a multigenerational house with independent units and one common room - for her parents, a cousin, for Lale, and for two of her new colleagues. 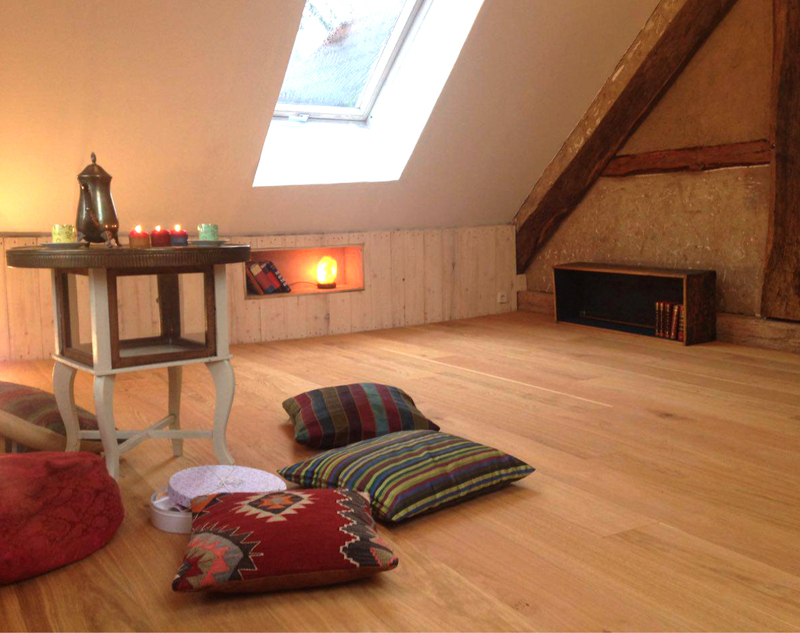 Parador supports the project with the engineered wood flooring Eco Balance Oak Wide Plank. Lale R. says: "Everything went so fast and now I can already move back in - all thanks to Parador!" 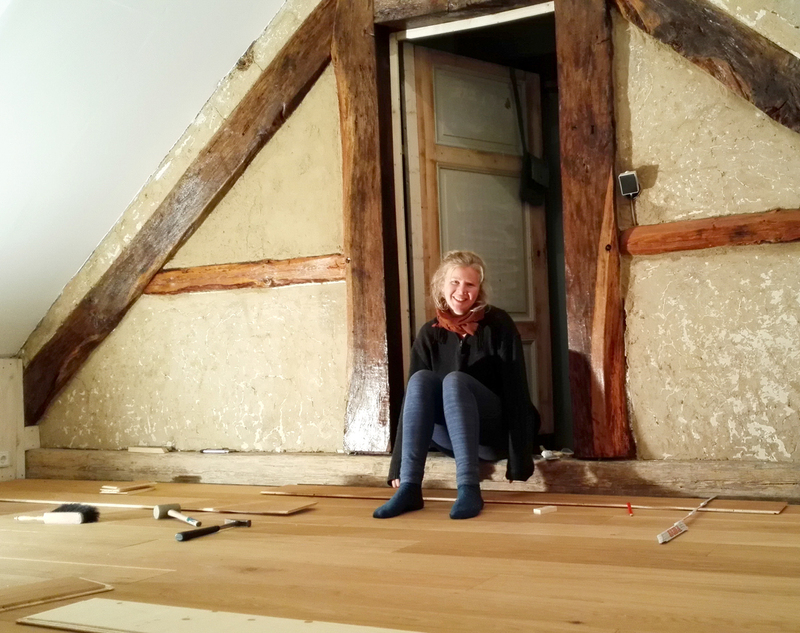 The installation of the floor was by far the easiest part of the conversion, says Lale with a smile. 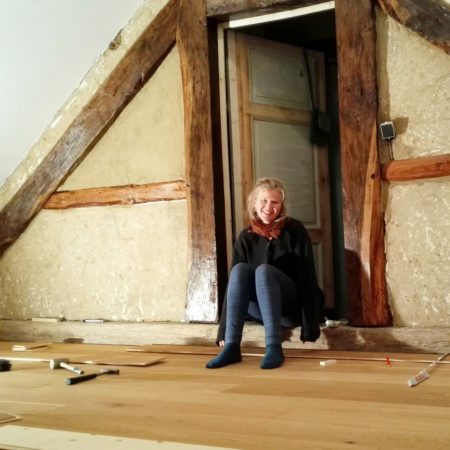 She especially likes the indoor climate and the colour of the new floor, which is a wonderful addition to the old renovated planks of the house. The residents of the manor house still have a lot planned to revive the area: gardens are to be taken care of together, the town square is to be revived, and current topics must be addressed. 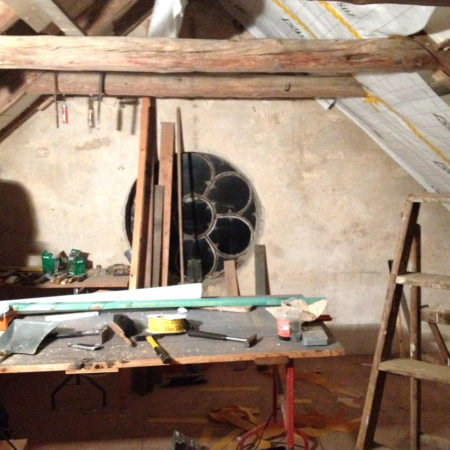 The old planks in the attic couldn't be restored. Thanks to Parador, the conversion of the manor house into independent units started sooner than anticipated. 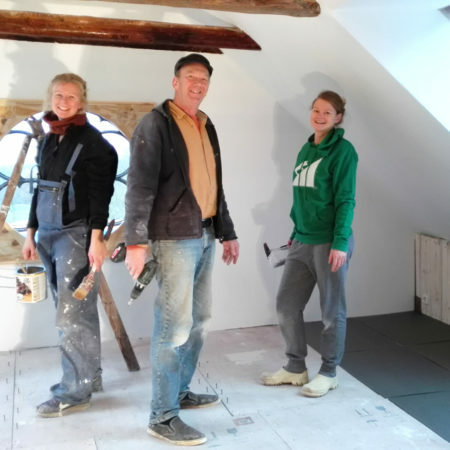 Lale R. with her father and a future housemate working on installing the underlay. All decisions are made jointly. 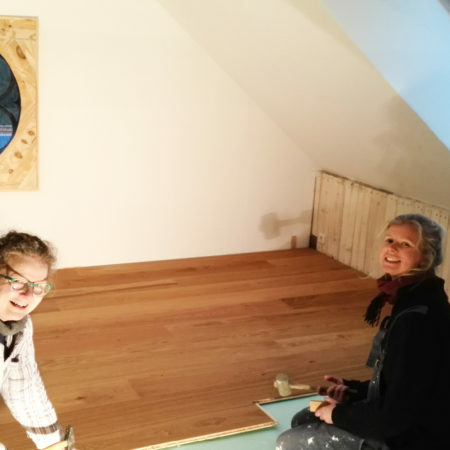 Installation of the engineered wood flooring Eco Balance Oak Wide Plank with Automatic Click® system was the easiest part of the whole conversion. 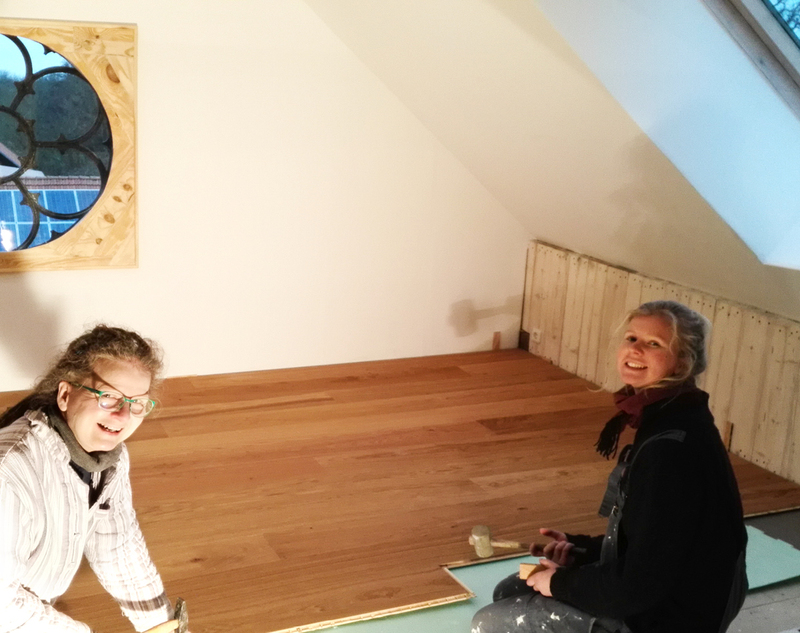 Lale's mum, the theatre artist who restored all the planks in the house, likes the new floor with a knotty look and pronounced colour scheme. "The project "We construct the future" frequently addresses how the rural region must change to enrich life here." With a 25-year quality guarantee and the Blue Angel, PEFC, Real Wood, and LGA certification, the new flooring is an ideal match for the manor house. 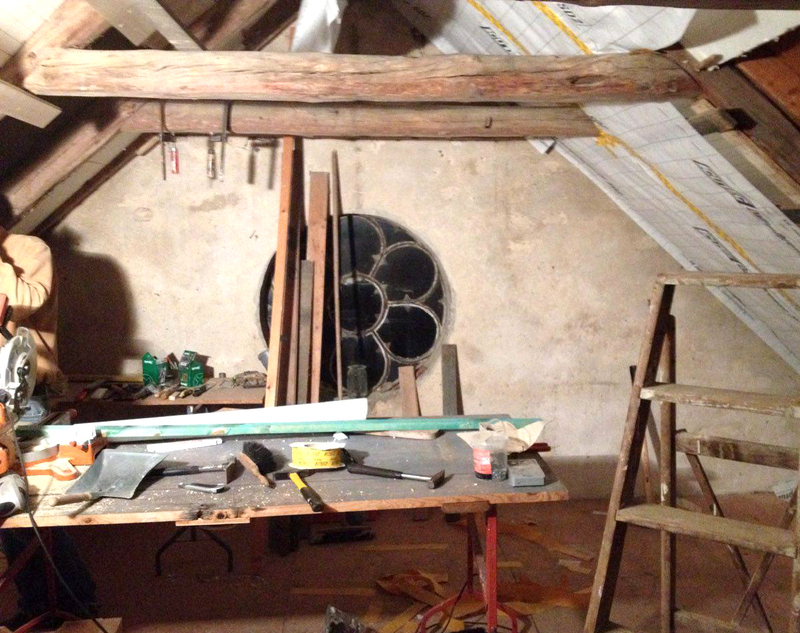 The attic of the house will soon be ready for moving in. 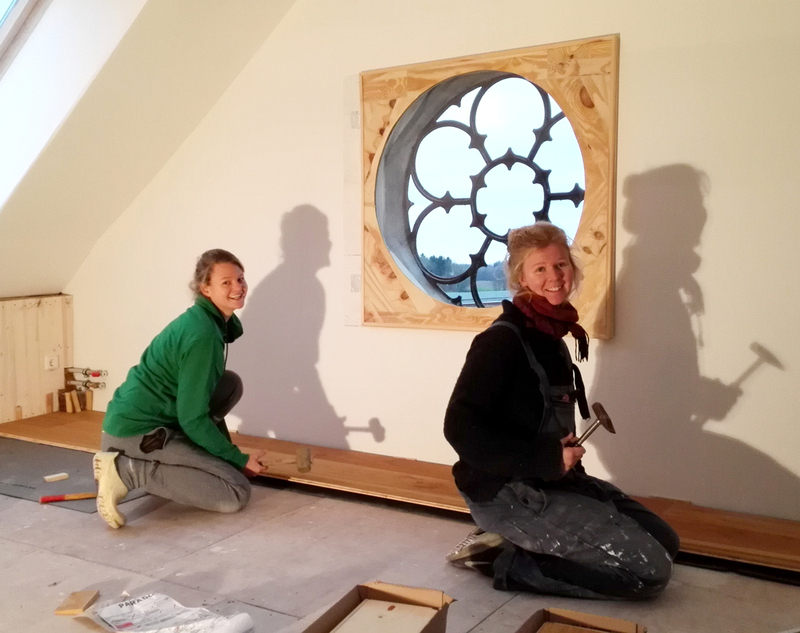 Lale R.: "Everything went so fast and now I can already move back in - all thanks to Parador!"